In 2005 the bicycle was voted the most significant technological invention since 1800; this blog looks back at the history of the bicycle and investigates how sports engineering has helped the bicycle achieve this accolade. The history of the first bicycle is a little muddled; like many great inventions its current design has been more of an evolution rather than the idea of a single inventor. It has been said that Leonardo da Vinci was the first person to ever visualise the concept of a bicycle but was unable to construct it. 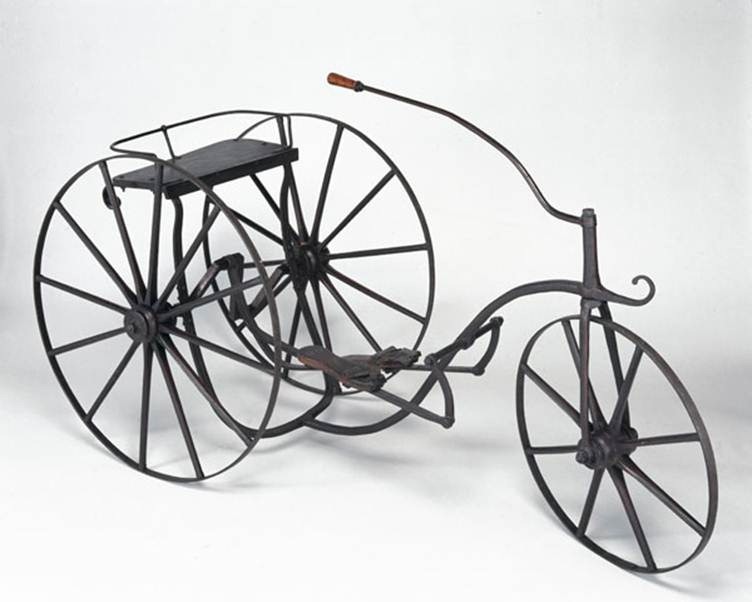 Comte Mede de Sivrac in 1790 was the first person to build what could be said to resemble a bicycle. This “bicycle” consisted of a four piece wooden frame sculpted into the shape of a crocodile and was known as a Celerifere. Having no pedals or steering mechanism, the Celerifere was thought to be more of a child’s playing toy than a method of transport. The first reputable claim for the bicycle was by Baron Karl Drais de Sauerbrunn in 1817. He had a patented design known as a Draisienne. Similar in style to the Celerifere, the rider would straddle the wooden frame and propel themselves along by pushing their feet against the ground – receiving the alternative name of a “stridewalker”. Twenty years later (1839) and the design of the bicycle began to resemble more of what we recognise today. Potentially the most influential evolution to this design is accredited to Kirkpatrick MacMillan, a Scottish blacksmith who added a mechanical crank-drive system to the bicycle rear wheel. 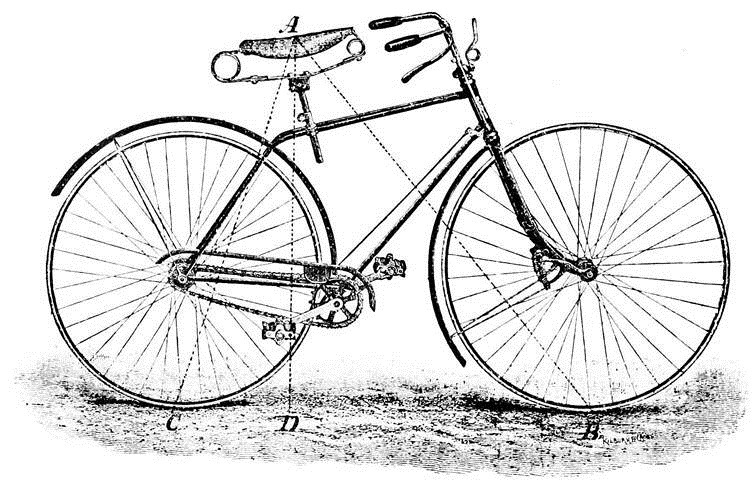 The first mass produced bicycle was developed in 1863 by Pierre and Ernest Michaux making use of the crank-drive system. The Velocipede was made from wood and had special ‘flanged’ wheels which gave it the ability to ride along train tracks. However, the wooden rimmed wheels were unforgiving on the cobbled streets and the bicycle soon earned the name the “Boneshaker”. Man’s need for speed was the driving factor behind the next evolutionary step of the bicycle. Gearing having not yet been invented, the most obvious way to increase the riders speed was to increase the size of the wheel attached to the pedal cranks. This was aided by the increase in availability of steel for use on frames or wheels. 1870 saw the introduction of the “High-wheelers” or “Penny Farthings”. The high-wheeler bicycle was notoriously difficult to ride, being inherently unstable except when at speed combined with the height required to mount the seat, bicycle riding soon became an art accomplished only by the very skilful. 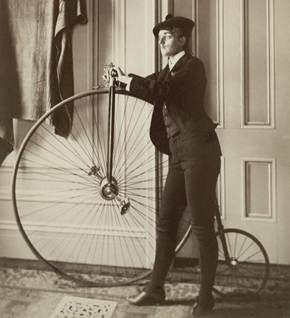 Figure 2 – The Penny Farthing high-wheeled bicycle. Figure 3 – Tricycle designed for female cyclists. The next notable step in the design of the bicycle came from John Dunlop in 1888. In an effort to improve the safety of his son’s bicycle, Dunlop developed the pneumatic tyre. The drive to increase safety was shortly followed by the introduction of the Rover Safety Bicycle. 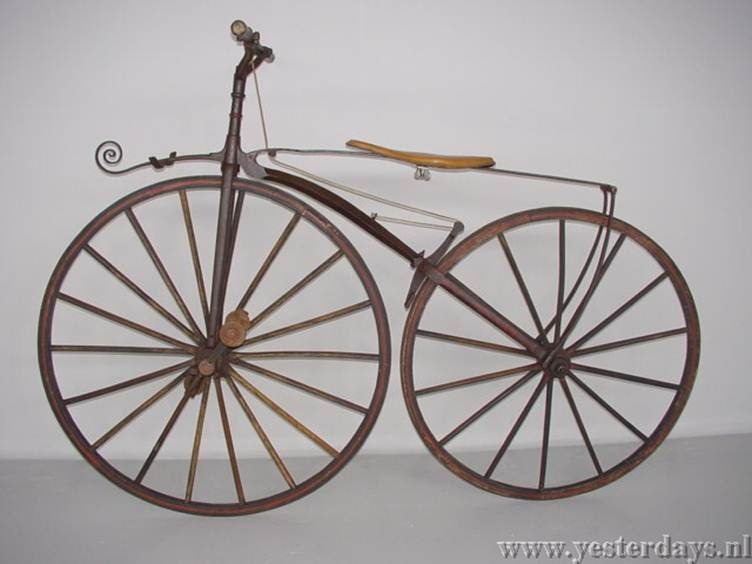 The frame shape and wheel size of the safety bicycle is very similar to the bicycle design we are familiar with today. Figure 4 – Safety bicycle. The 1890’s is often referred to as the Golden Age of bicycles and it was during this decade that some of today’s popular bicycle manufacture companies were set-up. Both Raleigh and Schwinn were founded, increasing the availability of the bicycle, allowing it to become one of the most popular methods of transport. Over the next 50 years, the design of bicycle components began to evolve, the introduction of derailleurs, freewheel hubs, efficient gearing and brakes that worked really helped to bring the bicycle to the design that we see today. From the 1980’s onwards we have perhaps seen the greatest changes to the bicycle since the Safety bicycle was introduced nearly 100 years earlier. Greater availability of materials, manufacturing techniques, scientific knowledge and increased popularity has seen the bicycle adopt many forms: from commuter bikes, bmxs, and mountain bikes to elite level racing bikes. For massed-start road races and cyclo-cross, the frame elements… shall be tubular without excessive curvature… The elements shall have a maximum transverse dimension of 8 cm and a minimum transverse dimension of 2.5 cm (reduced to 1 cm for the seat stays, chain stays and forks). This rule (along with a similar but less restrictive one for time trial and track) stipulates that a bicycle must consist of the familiar tubular form which has been used since the 19th century. 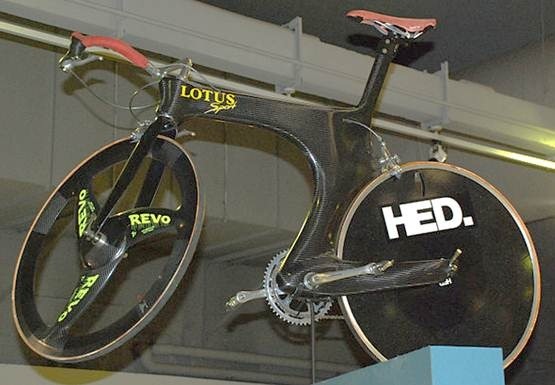 It is striking when looking at the Lotus bike (used by Chris Boardman in the 1992 Olympics, before the rule changes) that despite being 20 years old the bike looks startlingly modern because of the sleek monocoque design (now effectively outlawed). With these limits in place, manufacturers (as in all sports) are doing some incredible, innovative things but they will always be limited by the boundaries of the sport. Outside of these restrictions, designers and manufacturers produce some incredible looking concept bikes but because the market is often driven by the professional side of the sport (at least for road and mountain biking) they rarely make it to the shops. Innovation is always driven by competition at the highest levels so for the foreseeable future expect most bicycles to carry on looking like a close relative to those very early designs. Thanks to Dr John Hart for his IET Papendal presentation on this topic. Editor’s note: Due to a personal opinion on this topic I have added the final section regarding UCI rules and bicycle design, this does not necessarily reflect the personal opinion of the author. ← Sprinting’s latest performance enhancer: Usain Bolt.